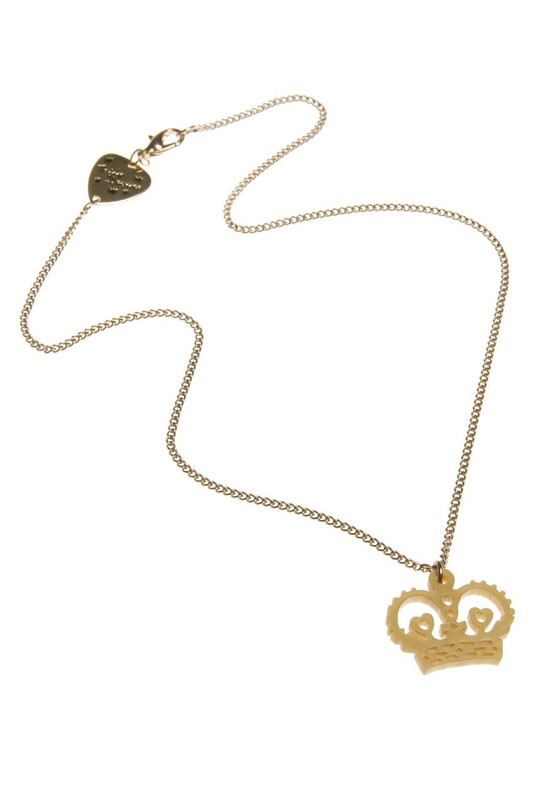 This kooky vintage style necklace comprises crown shaped pendant held on gold metal alloy chain with Tatty Devine plectrum decoration to rear. This crown necklace fastens with claw clasp to rear. Chain 41cm so this is a shorter necklace.